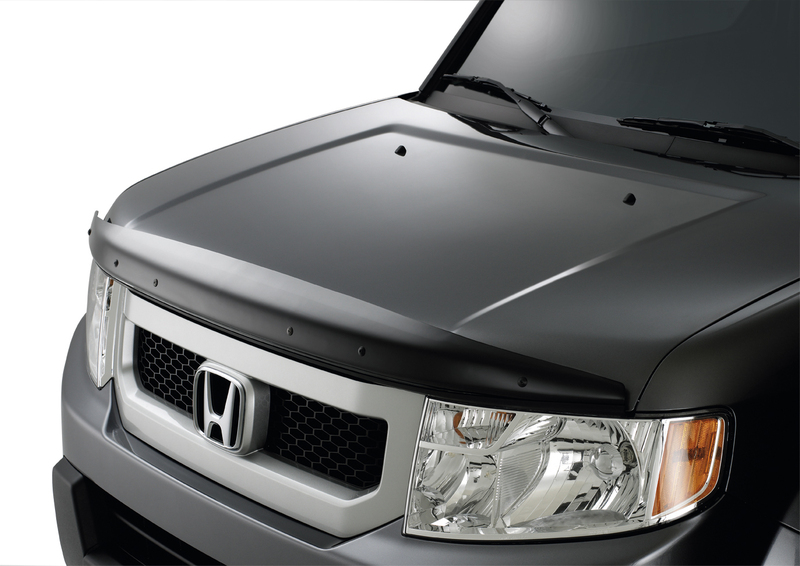 The Hood Air Deflector pushes away dirt, insects, and minor road debris to help keep your windshield clean - while protecting your hood's finish. It adds a classy touch to your new Honda. Smoked acrylic for great looks and a long life. Wrap around design for added protection.